Denise Nicole’s heart was full as her friends and family filled her new home for the first time. 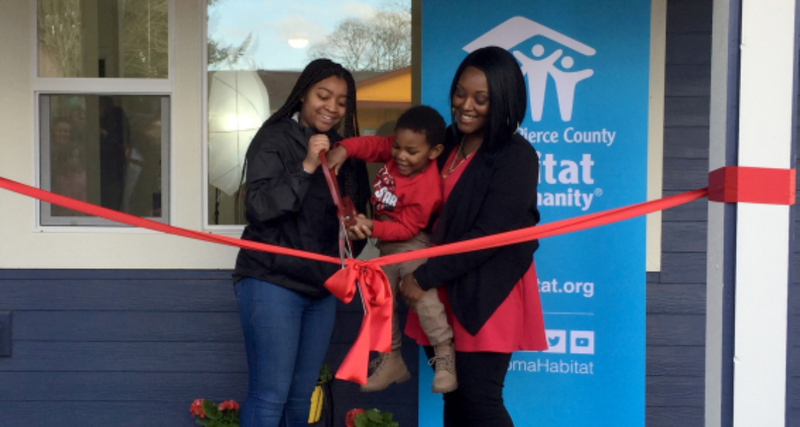 The journey to become a Habitat homeowner started years before this big day. Denise Nicole became a mother at age 18, in the very same year she lost her own mother. “Knowing that I no longer had anybody to be accountable to, I looked at my children like I’m going to be that best role model for you,” she reflects. True to her word, she puts her children first, hoping to give them what she never had – one place to call home. 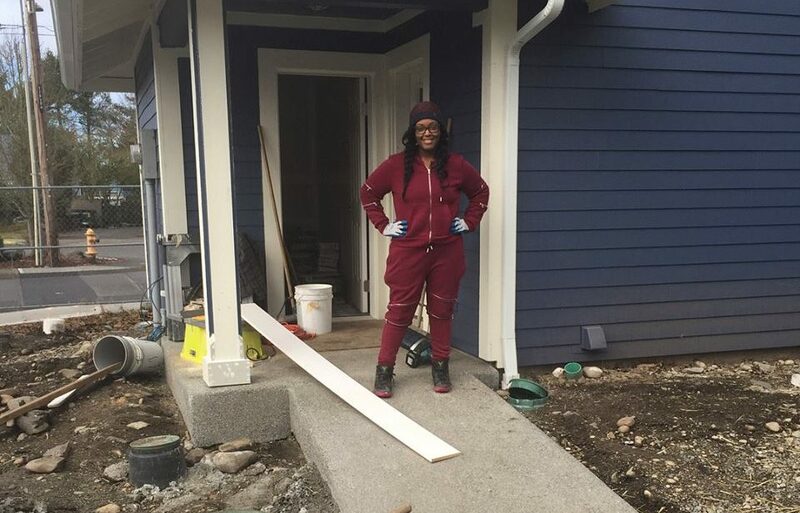 As Denise Nicole worked on her sweat equity, building her home and those of her neighbors, she not only help lay the literal foundation of her home; she contributed to the spiritual foundation within her new community. 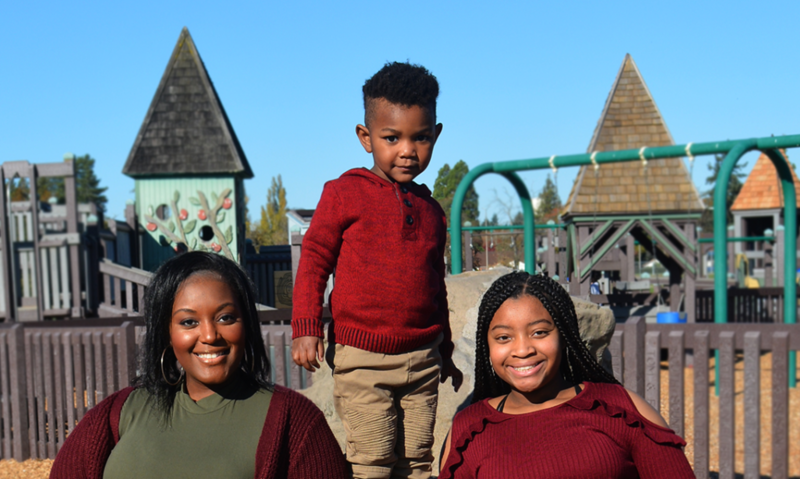 These hours spent on site brought Denise Nicole closer to her neighbors, and she enjoyed connecting with other mothers from the block. “It’s not the physical labor. It is how you are building a neighborhood from the ground up,” she shared. This emerging sense of community and sisterhood was never more evident than the day of Denise Nicole’s dedication. Before any guests arrived, the women of the neighborhood took a break from their sweat equity work to help Denise bring the vision for her special day to life. While the women were inside organizing the final details of the celebration, the neighborhood kids were out on the lawn – laughing and playing together, fast friends even before a single box was unpacked. 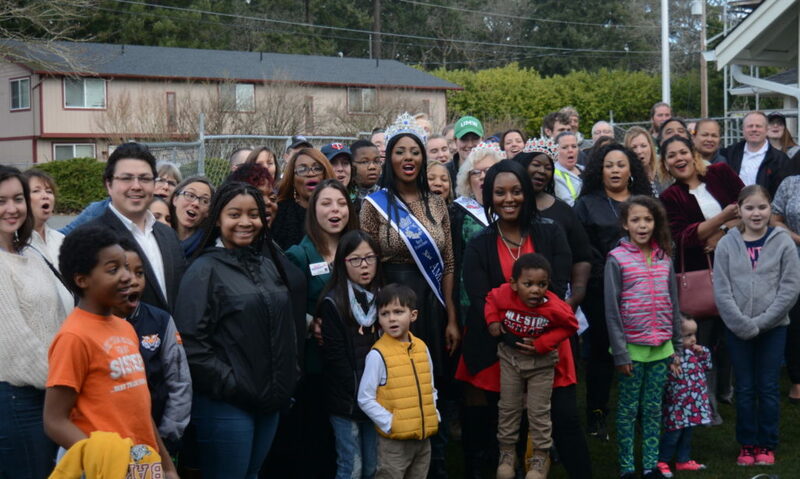 When guests started to arrive to the dedication, it became apparent that Denise Nicole is not only a gem in the Habitat community but in the larger community as well. The freshly painted rooms quickly filled as more and more people came to share blessings for the family’s new home. Long after the ceremony was over, laughter continued to spill on to the streets as friends new and old visited. At the end of the journey, Denise Nicole helped build much more than a house – she gave her heart in helping build a community. What a blessing to us all.